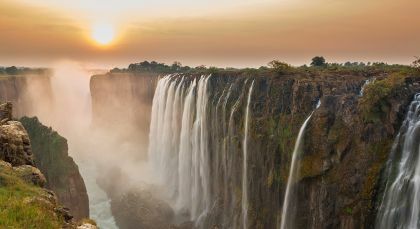 Discover the Cape Winelands, Africa’s most famous wine growing region, delve into the stunning African wilderness on an exciting safari, and experience the impressive Victoria Falls up close. 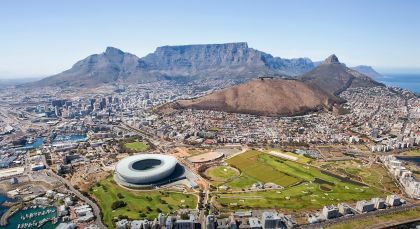 This unique tour of southern Africa has been carefully crafted to surprise and delight you! 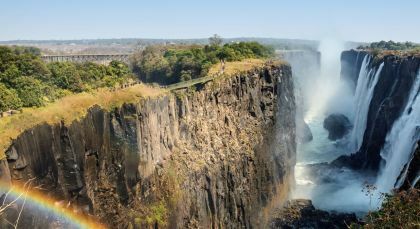 Experience exciting game drives and bush walks, get a glimpse of African every day life and feel awed by the beauty of Africa on wonderful boat safaris on the majestic Chobe River. Marvel at the beautiful afternoon light and the reflection of the sun as you peacefully glide over the river while enjoying your favorite drink and observing hundreds of elephants along the shores of the river – bathing, drinking, playing and cajoling. This is one of the most memorable safari experiences you will ever have! 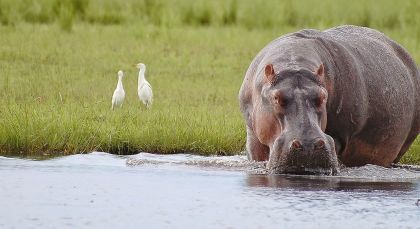 Experience exciting game drives, get a glimpse of African every day life and feel awed by the beauty of Africa on wonderful boat safaris on the majestic Chobe River. Marvel at the beautiful afternoon light and the reflection of the sun as you peacefully glide over the river while enjoying your favorite drink and observing hundreds of elephants along the shores of the river – bathing, drinking, playing and cajoling. This is one of the most memorable safari experiences you will ever have! 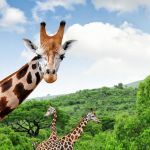 Enjoy an incredibly diverse safari experience! 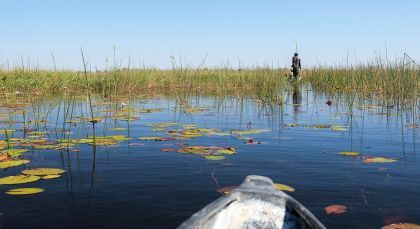 Explore the Okavango Delta on exciting bush walks with an experienced guide to stretch your legs and discover the small wonders of nature. A mokoro excursion will take you along the channels and lagoons of the Delta to view game from another perspective and to experience this tranquil mode of transport. As another highlight, enjoy beautiful boat safaris which allow you to get a closer look at the aquatic animals and birds not easily approached on safari. Follow in the footsteps of early explorers! 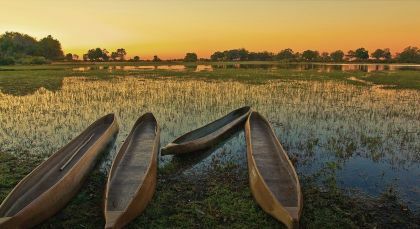 Maun has been the start of expeditions into Botswana’s wildlife areas since the turn of the century, and is the gateway to the Okavango Delta. Transport to hospital in case of a medical emergency. Guaranteed hospital admission up to ZAR 2000, which is to be refunded by client or client’s medical air. 24-hour call service for car breakdown or emergency. Repatriation to an appropriate facility in the client’s area of residence following an accident. Game drives in high quality and well maintained safari vehicle with professional English-speaking driver guide. 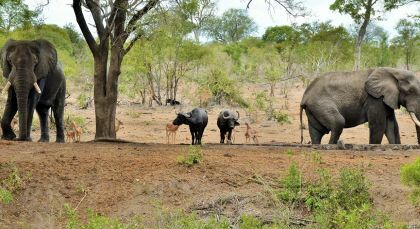 Game drives may be shared with other guests of the lodge/camp, with maximum of 9 guests in the vehicle. All national park and conservation fees as per your itinerary. Excellent service from first point of contact. You met all our requirements, hotels and services were excellent and the follow up we received during the trip made us feel very comfortable. We had an excellent, worry free holiday and we will not hesitate to use Enchanting Travels again!! !